As we all know, 2016 is an Olympic year in Rio de Janeiro, Brazil with archery between August 5th and 12th. Most of you know that Archery Canada has been making many changes with the goal of giving our archers the best chance to compete in Rio and to ensure that we are also developing young archers who will be competitive for the 2020 Olympics and beyond. Joan's responsibilities this year are to prepare the archers to qualify and compete at the 2016 Olympic Games. Canada has already qualified 1 man for the Olympics and have an opportunity to qualify one woman in May in Colombia and a men’s team in June in Turkey. At the same time Archery Canada has changed its entire team selection process and is organizing more training camps and training events than ever before. Gary and Joan have run the Spring Classic since 1998. Thanks to the large number of amazing volunteers, the tournament has grown, gotten better every year, and has become the leading target tournament in Canada. In 2015, many of these same Spring Classic volunteers stepped forward to deliver a terrific Pan Am Games in July and ParaPan Games in August. As important is the Spring Classic is furthering the development of archers, we have decided to take a “pause” this year allowing us to focus on the best opportunity Canada has ever had to get an Olympic medal. 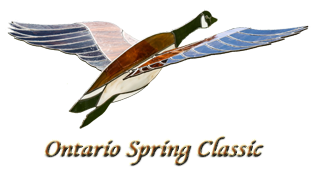 We will resume the Spring Classic again in June of 2017 and look forward to enjoying the fun of staging a great event that will showcase the young archers who will represent Canada at future World Championships and Olympic Games. Gary and I send our sincere thanks to every one of you -- competitors and volunteers. Without all of you, our archery community would not be where we are today. If you have any questions, please shoot us e-mail at .